Acumen Development Partners is pleased to share photos of Visions Hospitality’s newly constructed Springhill Suites Atlanta. The property officially opened on May 17, 2018. Acumen provided development management of the new twelve story, 170 key Marriott hotel. 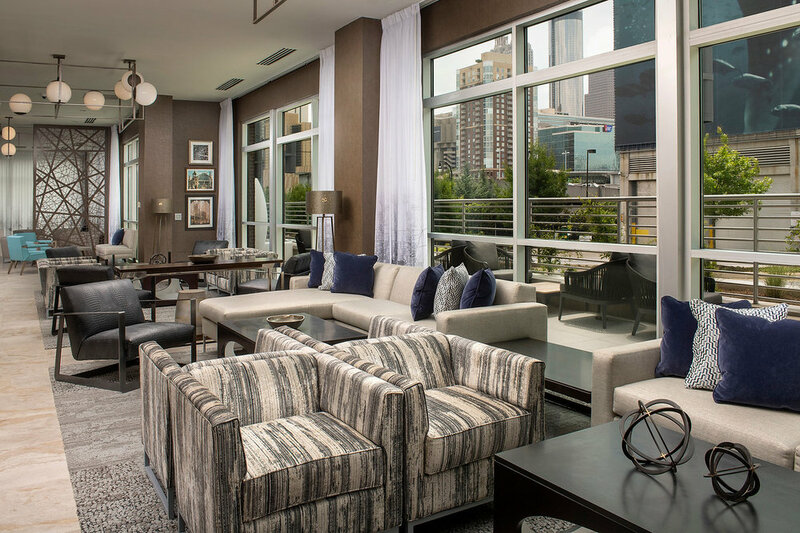 Architecture services were provided by LPBC of Lawrenceville, Georgia, interior design by 1213 Interior Design of Atlanta and construction by W.G. Yates & Sons Construction Company of Marietta, Georgia. The hotel is located at 239 Ivan Allen Boulevard in downtown Atlanta, Georgia. Nearby attractions include Centennial Olympic Park, Georgia Aquarium, World of Coca-Cola, Children’s Museum of Atlanta, Center for Civil and Human Rights, High Museum of Art and The College Football Hall of Fame. This property is Owned and Managed by Vision Hospitality of Chattanooga, TN. Acumen Development Partners is proud to announce our involvement in the renovation of the SpringHill Suites Miami Airport South by Marriott. The seven story, 150-key hotel is located at 6700 NW 7th Street and is conveniently in close proximity to the Miami International Airport.